A sunrise - or rather sunset - over the Greek waters is the apogee of romance and is one of the special moments on a travel in Greece. Many holiday photos feature a sunset of some sort, typically from Santorini, with the bell tower or the copula of a monastery in the frame. A trip in Greece, however, means more than Athens, Mykonos or Santorini (the more known and highly popular destinations for travellers). Notably the Northern Sporades, the Dodecanese and the islands of Folegandros, Astypalea, Nisyros, Amorgos, Sifnos and Paros are absolute worth a visit during your travels in Greece. Travelling Greece is best done by yacht: on a cruise. These cruises can be divided into two main categories. The first way to travel Greece is by gulet (goulette or gullet): a wooden motorsailer with captain, hostesses, deck hands and of course your own gourmet chef cook. These exquisite ships are best rented as private charter/full charter instead of cabin charter, are fully air-conditioned and are sometimes called blue cruises or blue voyages. The second ideal way to travel Greece is by the modern variant of the above mentioned luxurious gulets, namely the superyachts or megayachts, which are of course also fully crewed, perhaps lack the charm of its wooden equivalent, but has much stronger engines and therefore covers a much larger cruising area. Both are arguably the best methods to travel Greece and enjoy the rich ancient history and culture of the Aegean and Ionian Seas. 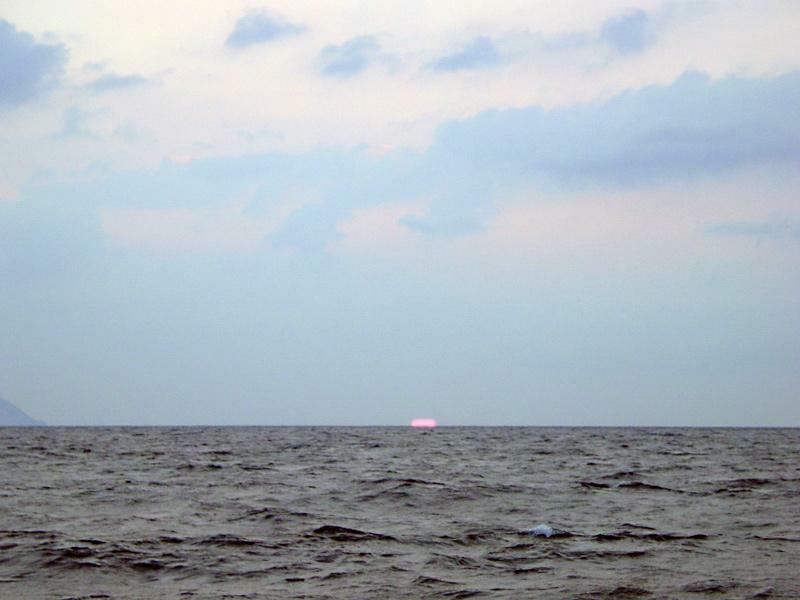 The photo shows a sunrise at sea near Mount Athos.
.: Back to our travels in Greece :.